what is web 2.0 now? “Today's web is radically different from three or four years ago. The web's centre of gravity has shifted from being a source of broadcast information to a platform for dynamic conversations,” says Rohan Gunatillake in "Mission 2.0: advice for arts & cultural organisations from the social web"
We invite offers of papers. For proposals we require only a summary of the paper on not more than one page. It must be submitted electronically according to the instructions on the EVA London website. Papers may be on any aspect of EVA London's focus on visualisation for the arts and culture, broadly interpreted, including technology, use and users, creative, visual and performing arts and music, strategy,organisational implications and policy.Papers are peer reviewed and may be edited. They will be published as hard copy and online. not have access to grants. New book about Public Netbase t0, edited by New Media Center_kuda.org and published by Revolver. New information technologies have become ubiquitous and thoroughly established in our everyday lives. This marks the end of a period of intense experimentation and speculations related to the introduction of global communication systems more than a decade ago. Artists and cultural workers were the first to explore their liberatory dimensions and to apply their emancipatory potentials. These early pioneers developed a range of interdisciplinary models and practices in order to expand the scope of social participation in information society cultures. Initiatives like the radical Viennese mediaculture institution Public Netbase became important nodes in a global network dedicated to critical art, culture and science based on new media practices. A virtual world is possible, but never without real spaces and tangible social interaction. This publication is both a review of the pioneer days from the perspective of Public Netbase as well as an outlook into the future of art and culture in digital networks. It provides an overview of a critical information economy discourse, insights into Tactical Media strategies and a critique of the loss of public domain and the commons. Based on the extensive archives of Public Netbase, the book features some of the most spectacular and controversial art projects and interventions from 1994 to 2006. It also offers historical documents and manifestos critical of commercialisation and control society issues, together with a view into the digital world of tomorrow. "Non Stop Future" raises awareness for a need to invest in new and diverse practices in art and media. 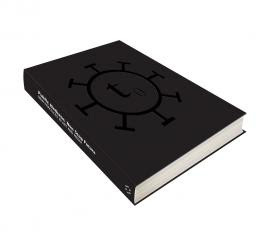 Extensive contributions from many art and media theorists and practitioners to this book relate to long lasting collaboration with Public Netbase through different formats of conferences and projects, reflecting some of the most relevant problematics in constellation of art and tactical media practices and theories within communication technologies. The broad spectrum of themes regarding politics of digital media culture, art practices, networking, participation and self-organizing make the “Non Stop Future” an important contribution to forming the critical digital heritage of the future.